These two photos by quigley_brown are wild. I’m not sure how he altered them but they almost look like paintings. 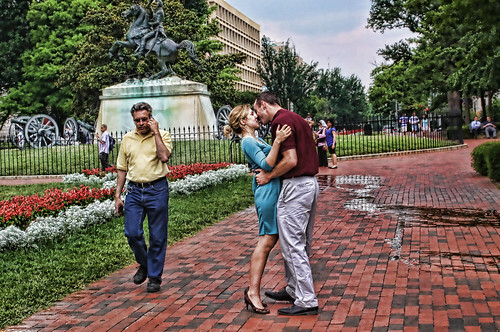 Above is titled, “The Kiss” from Lafayette Park near the White House. Below is titled “The Dress” from 17th Street, NW.